Three years in, MEANS has reached people in 49 U.S. states and territories, and boasts some 3,000 users and partner organizations. And it’s recovered 1.6 million pounds of food. Fourteen-year-old Maria Rose Belding skirted past the block-deep line of hungry people, and launched another box filled to the brim with expired macaroni-and-cheese into the dumpster. It wasn’t the first time she’d tossed food into the trash at this particular food pantry—Belding had begun volunteering at the Pella, Indiana location when she was just 5-years-old—but this time was different: this time, she was really, really, really angry. The tech-savvy teen figured there had to be some sort of online communication system on which food pantries could communicate with one another about their stock—a system that her local pantry simply had to sign up for. She searched and searched—and found nothing. 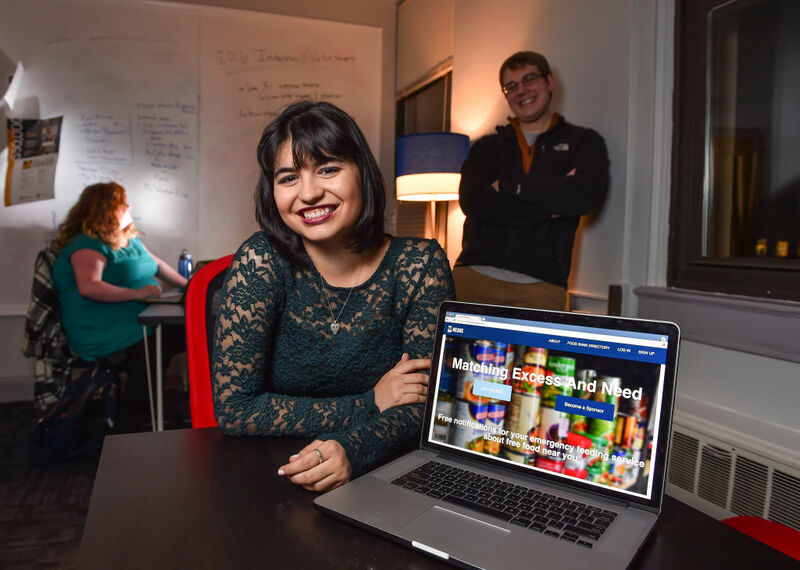 Five years later, with the help of a fellow college student Grant Nelson, Belding launched MEANS, a nonprofit communications platform for emergency food providers and donors. “When a grocery store or a restaurant or a caterer or anyone who makes or sells food for a living has excess food they would like to donate,” Belding says, “we allow them to send automated text messages to every soup kitchen, homeless shelter, food pantry, after-school program, house of worship, or charity feeding the hungry in their community—and it’s free. They can make connections quickly without having to go out of their way or dip into their budgets.” Donors and nonprofits are vetted through an automated system—or by hand, in special cases—“but the barrier to entry is intentionally quite low,” Belding says. After three years, MEANS has reached people in 49 U.S. states and territories, and boasts some 3,000 users and partner organizations. And it’s recovered 1.6 million pounds of food. Most often, donations run smoothly. A donor sends a message to his or her network with the food he or she would like to move, and arranges to deliver (or ready for pickup) any nonprofit that needs the items in question. Sometimes, MEANS staff—which has grown to about a dozen members, including interns and volunteers—has to step in to move the food. If you are interested in joining MEANS—or know someone else who is—you can visit the program on its website, call the staff at 202-449-1507, or email hello@meansdatabase.com.